The LWL (outdoor historical) museum in Detmold are celebrating Christmas in 1900 in their christmas market this weekend. A great chance to see this popular outoor museum while it’s closed for the winter. The countdown to Christmas has officially begun! 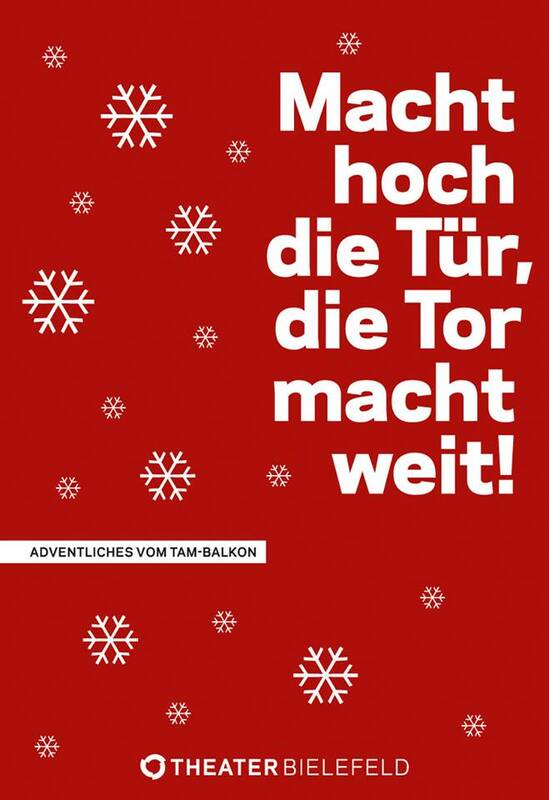 There are two fun advent activities going on in the Altstadt this month. Daily from 01.12 to 23.12 at 17:00 Theatre Bielefeld will give a short presentation from their balcony. It might be musical, dance or literary. For those who don’t want to be surprised, you can see the advent program here. There is also a daily free concert from 01.12 to 24.12 at 19:00, usually at Altstädter Nicolaikirche (or sometimes other places).